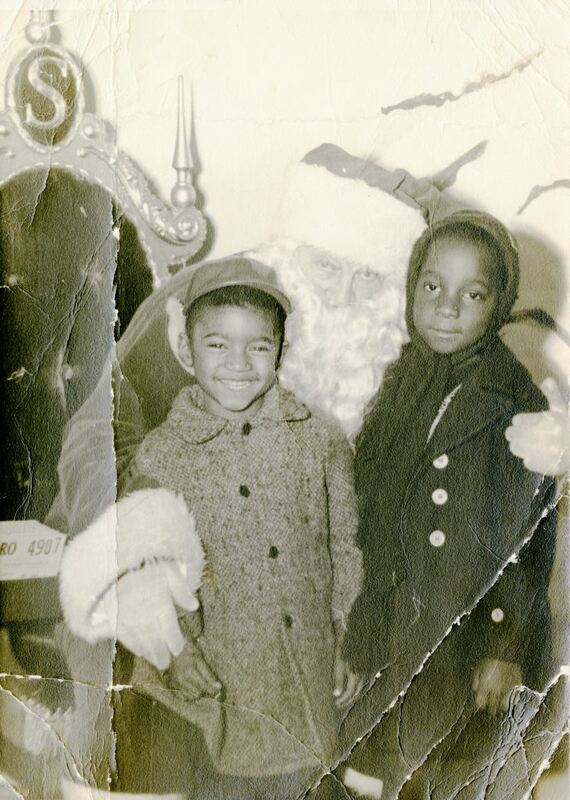 Six year old Patricia Ann Black (1956- ) and four year old Michael Vallot with Santa Claus at the Sibley's department store, located at 228 East Main Street in Rochester, New York, in 1962. Vallot is also a relative of Patricia's brother-in-law, Willie Lee Hooks, who is married to her sister Lula Yvonne Black (1942-). 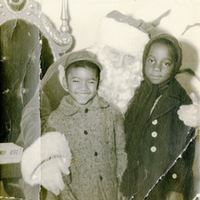 “Patricia Ann Black and Michael Vallot with Santa Claus.” RICHES of Central Florida accessed April 20, 2019, https://richesmi.cah.ucf.edu/omeka/items/show/2687.